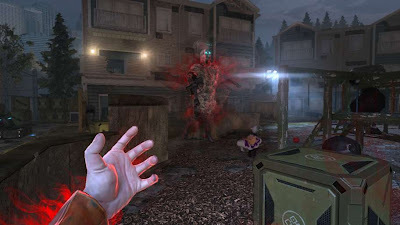 No epic horror franchise would be complete with an enemy that just...will...not...die, and F.E.A.R. serves up one of the best. Last time, Point Man followed orders and destroyed not only his psychic mother Alma, but his brother Paxton. Or so he thought. Alma survived and is poised to unleash her worst horror yet. Paxton has also returned, existing beyond the grave and begging for Point Man to help him find Alma. Enter the most chilling F.E.A.R. saga yet in a story created with help from horror legend John Carpenter. Survive random scare events, fight incredible mech battles, and encounter the nightmarish creations that have spilled out of Alma's twisted mind. Will F.E.A.R. 3 induce scares, and bring true horror back to the gamers yet again? In my opinion not really, but it still shines when it comes to being a shooter. What will draw you in is the amazing co-op where you can play as Point Man, or Fettel. Fettel is the more fun one to play, since he has a completely different set of stuff to do then what Point Man can do. Single player was also a blast to play, as you shoot down hordes, and hordes of enemy’s. It will not disappoint you in being difficult as well in single player. The leveling, and challenge system that they had in this game, gave you a reason to do everything that the campaign has to offer, with the mundane task of picking up ammo to doing 15 melee kills. The replay value is there, since there are two endings, and if you can only play single player, you can unlock Fettel for another play through instead of having him only for co-op. The multiplayer that this game offered wasn't much, but the one out of two modes that it did have "soul king" was actually fun and different then what I have played in other games. The biggest issue that I had with this game was all the film grain and motion blur that they kept using over, and over. It isn't bad if it’s done right, but in F.E.A.R. 3 it just seems out of place, and a tactic to try to scare you, which did not scare me at all. The enemy variety wasn't really there, while the A.I wasn't bad, it just seemed that there wasn't much to offer when it came to what you were fighting. While I liked Fettel's role in this game, I thought that the story was kind of bland, and sometimes they would do stuff that would make you go, “why would they do that?”. The 1 and only boss battle that they did have in this game was kind of easy to beat to be honest. He had an easy to spot weak point, and you probably won't have many problems defeating him in 1 or 2 tries. The horror in this game is sort of there, but it really isn't. The reason why I think this way is because of the fact that most people already know what Alma is about, since she was the reason why most people were scared in the first place. The level design, and setting of the places of where you were at, didn't really give you that sort of being enclosed, or sense of being haunted. While F.E.A.R. 3 doesn't do much in the way for new people in the series to jump in, and play if they were playing this game for the story, since it is a continuation of the previous games, but it does try to catch you up somewhat to make you less confused with what’s going on. The ending wasn't the best that I have ever seen, but it is a little weird and offish with what happens in one of the endings. 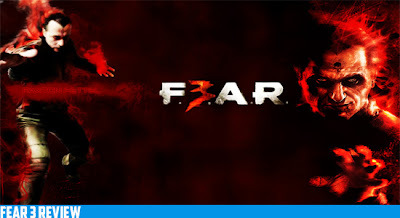 They did leave it open for a sequel to leave fans with hoping for another F.E.A.R. to be made. The length of the game was kind of short for me, and leaves me wishing for a longer campaign, but they do make up for it with 2 endings, and being able to play as Fettel, or Point Man for whatever campaign mode you’re playing in. While I can probably recommend one of the earlier Fears for people who are looking for more horror, but I can definitely recommend this game to anybody looking for a solid shooter, that will keep you entertained for at least over 15 hours or more. 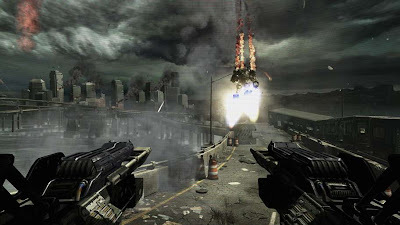 ESRB: M Developer: Day 1 Studios Publisher: Warner Bros. Int.